This post was made possible by PowToon Limited through compensation. The actual contents and opinions are the sole views of the author, who maintains editorial independence, even when a post is sponsored. For more details, please read our disclaimer. There’s something special about animation. It has a wonderfully potent ability to capture the attention of people by drawing them in – in a way that the written word, and live action video simply cannot. There’s a reason why some of the longest running TV franchises (with Family Guy, The Simpsons and South Park being three very good examples) are animations. There’s something unambiguously magical about the format. Indeed, as a marketing tool, animation has no equal. Some of the most iconic advertising campaigns have been animations. The problem is that it’s remarkably expensive to create compelling animations. You need a team of skilled artists, editors, producers and sound engineers; a massive budget; and a lot of time to create anything worthwhile. Furthermore, if you create a traditional animation, you’ll find that your costs increase as the duration of your movie increases. With that in mind, have you ever thought about what would happen if it became drastically cheaper, quicker and easier to produce awesome cartoons? I have. 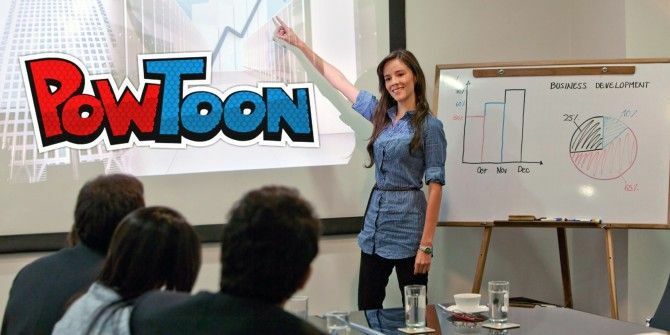 And then I discovered PowToon, and their brand new presentation service, #Slides. PowToon was founded in 2012 in London by Russian-born entrepreneur Ilya Spitalnik as a way for startups to create compelling animations in the browser, without spending tens of thousands of dollars. This is vital, as many startups operate on wafer thin budgets, and often lack the funds to even pay for a marketing team, let alone for flashy adverts. And yet, videos are easy to share. People don’t tend to ‘bounce’ from websites when there’s a video in the mix. As marketing tools, they’re incredibly powerful. Since the creation of PowToon, millions of people have used it to create beautiful marketing and learning material, without spending a fortune. Indeed, it’s possible to create a portfolio of long, HD quality and watermark-free cartoons with a Pro account for just $228 per year. For context, that’s less than the cost of a cheap camcorder. There’s also a free plan, if you’re so inclined. This produces watermarked videos in standard definition quality. Sadly, they cannot be downloaded. Those signed up to a Pro PowToon plan can download their videos and re-upload them on the likes of YouTube and Vimeo. For those working in the social media and marketing industries, there’s even a plan for agencies. This will set you back just short of $700, and creates videos in full HD quality with third-party transfer and monetization rights. Admittedly, as a medium, animation is a forgiving one. You don’t have to worry about shaky cameras or bad lighting. You don’t have to worry about unconvincing acting and awkward body language. There’s a reason why most of the notoriously bad commercials tend to be live-action ones. That’s where PowToon shines. You don’t need to have any real expertise or experience to make something look good. You just need to be able to drag and drop, and know how to structure a narrative. It was for this reason I soon found myself falling in love with PowToon. There was something viscerally intuitive about this service. From the process of signing up, to creating scenes; each step of the PowToon experience had a genuinely intuitive flow about it. Once you’ve signed up, you can start creating movies. There are some pre-made animations available for your use, as well as some royalty free music and styles. The free plan gives you ten of each, although as you would expect, if you invest in one of the paid plans, you gain access to more of them. Incorporating them in your animations is a simple matter of dragging and dropping them into your scene. One thing that impressed me was the staggering number of things that are animatable. 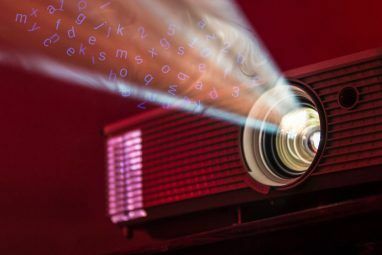 Text can be written to the screen word by word, or with an ethereal hand which draws each letter of the phrase to the screen. There are also shapes, markers, props and transitions available to use, which add a bit of panache to your design. As you would expect, each of these are animatable. In addition, you can also upload your own images and sound assets. Once you have created your presentation, you can play it in the browser, tweaking things as necessary. All things considered, I found that it is possible to create a simple animation in just a few minutes. But don’t just think it’s for quick-and-dirty marketing jobs. It’s also possible to make something a bit more grandiose and spectacular. The only exponential factor is the time required. Now that you understand what PowToon is all about, it’s time to introduce their latest product in the works: PowToon #Slides. PowToon #Slides is essentially a hybrid of animation software and online slideshow presentation – it offers users the ability to easily add animated scenes, graphs and videos into their presentation, all from within their browsers. This hasn’t been released to the general public yet, although some fortunate individuals have gained early access through a closed beta program. If you’re interested in giving #Slides a go, all you have to do is request an invitation here. I’m betting you’ve probably used Microsoft PowerPoint. Since its first launch in 1990, it has allowed people to create slideshows by dragging and dropping onto a blank canvas, and building from that. 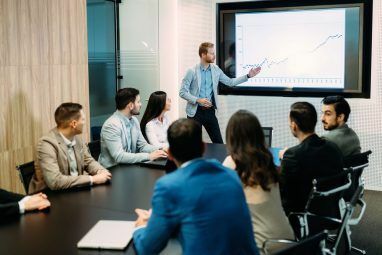 It has became the de-facto tool for creating presentations, despite the fact that most presentations created with PowerPoint are painfully dull. How dull, you ask? 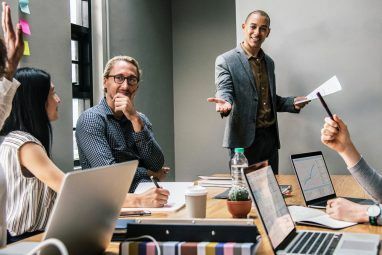 Well, there’s a phrase – ‘PowerPoint Hell’ – that has spawned into existence in order to describe those presentations that meander endlessly, reducing the audience to tears in the process. There’s little exciting about a PowerPoint presentation. And then a few years ago Prezi came along. This young upstart makes it easy to create fantastic, animated presentations. In just a few short years, Prezi has gained a massive following, which has resulted in it eating into Microsoft’s market share. However, it’s still not a perfect solution. Whilst it does make it easy to create interesting, engaging slideshows, it lacks the simplicity and ease of use that Microsoft PowerPoint boasts. It’s also true that some find the scrolling and zooming effects in Prezi nauseating. There’s even a word for the motion sickness brought about by the overuse of Prezi’s zoom: Prezilepsy. Both PowerPoint and Prezi are imperfect products, and whilst PowerPoint excels with respect to ease of use, they simply cannot compete with the sheer visual splendor of Prezi. The need for a happy medium between the two has necessitated the creation of a new take at the presentation format which is PowToon #Slides. As you might expect, #Slides allows users to create beautiful presentations from the comfort of their web browser, whilst retaining the same PowToon feel and aesthetic that we all know and love. But why would you want to create an animation as a presentation? Indeed, this medium breaks from tradition somewhat. Yet, the reasons why PowToon is such a powerful force for creating marketing and promotional videos is just as true for #Slides and presentations. Simply put, animations are captivating. If you’re going on stage, you’re going to want to grab the attention of the audience, and if you’re presenting on a topic some find to be boring, you will need something that is more powerful than your natural charisma and charm. Animations are remarkably effective at that, and PowToon #Slides make it easy to get people’s attention and to make a memorable presentation. PowToon #Slides gives you a lot to work with, for your presentation. As you would probably expect, everything lives within a beautiful, drag-and-drop interface, allowing you to create a flowing narrative with ease. You can also get your hands on a wealth of royalty-free assets and audio files, much as you can with their flagship animation product, PowToon. This product is still very much in the formative stages. The pricing model is yet to be finalized, although I wouldn’t be surprised if they offer a free version with limitations, along with additional features that can be unlocked for a fee. I do know that PowToon are planning to offer #Slides to teachers working in pre-tertiary education, further cementing their reputation as an essential tool to be found in the classroom. Right now, it is available to a select number of people by way of a closed beta program. But how can you get your hands on it? Well, just drop your email address right here. If you are lucky, maybe you’ll get sent an invite. You can boost your chances of getting invited to PowToon #Slides by sharing the link with your Facebook, Twitter, LinkedIn and Google Plus followers. There’s a lot to get enthusiastic with respect to PowToon. Their flagship animation service makes it easy to create gorgeous, enticing marketing and teaching videos, and I’m hugely excited to see what they’ll come out with in the future. If you want to test drive PowToon or register for #Slides through the closed beta, you may do so here. But what do you reckon? Do you plan to give PowToon a go? Let me know in the comments below. I've got a question...pobably quite simple but I am really not sure. So, I'm still using the free version of Powtoon (didn't upgrade yet) and I export my powtoons on YouTube as I see it is possible. But on my YouTube channel I've allowed the monetization with ads. Is there any problem? ? "Just $228 per year"? My boss's response? "Forget it!". Sorry Powtoon, for an ongoing expense you are just too costly. I will watch out for the slides product, but if you want market share you will need to do something about the price and also have a free plan that does allow me to use the presentation I have invested my time in. *Voice over artist, recording facility, and rights to "The Simpsons" not included.